Comfort: Dental implants will allow you to once again speak and eat with comfort and confidence. They are secure and can offer freedom from the troublesome clicks and wobbles of loose dentures. Say goodbye to misplaced dentures, messy pastes and glues. Losing teeth from an accident or disease can be devastating. Missing teeth can damage the natural flow of daily life for Bay Area residents. Problems from missing teeth such as chewing, speaking or experiencing pain in the mouth can lower the quality of everyday life. The best solution to fix missing teeth is restoring them with dental implants from one of the best oral surgeons in the Bay Area, Dr. Alex Rabinovich. Dental implants are a comfortable, reliable and affordable tooth replacement option for San Francisco locals. 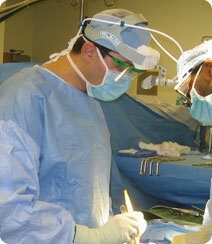 Dr. Rabinovich is a highly-skilled oral surgeon with over twenty years of dental implant experience. With an extensive background in oral surgery and jaw reconstruction, Dr. Rabinovich understands the underlying problems you may be experiencing. If you are struggling with dentures or just the embarrassment and discomfort of missing teeth, dental implant surgery may be the best choice. Dental implants can resolve bite and chewing problems and bring back your beautiful, confident smile. Once your dental implant surgery is completed, there is very little extra work you need to maintain your new smile. Bay Area residents with dental implants can brush their teeth normally and go about their day as usual. Dental implant surgery is an outpatient procedure and can be performed at our state-of-the-art surgery center, located at 129 Sacramento Street in San Francisco (near the Embarcadero Center). Dr. Rabinovich, considered among the best oral surgeons for dental implants in San Francisco, performs your surgery in a comfortable and calm environment. The first appointment will begin with an oral examination and x-rays of the mouth. Dr. Rabinovich will evaluate what issues you are experiencing and will discuss a treatment plan customized just for you. Remember, dental implant surgery may take one or several surgeries depending on the amount of teeth to be implanted and underlying work needed. When searching for the best center to handle your dental implant surgery, insurance should not be a barrier. Dr. Rabinovich not only offers top care in dental implant surgery, his staff offers top customer service for evaluating insurance plans to make dental implants affordable. Dr. Rabinovich’s office accepts all types of dental insurance such as; Delta Dental, Western Dental, Guardian, Ameritas, Humana, Renaissance Dental, Aetna, METLIFE, CIGNA Dental and several more. Check with us to see if we accept your in-network dental insurance provider when you call for an appointment. Once dental coverage is confirmed, our supportive staff will help manage the dental insurance paperwork and financing. If you need support with dental financing, our friendly and knowledgeable staff will walk you through every option to find the best payment plan to fit your budget.